We stayed at the Centara Anda Dhevi Resort. Perfect location. Close to the ferry terminal, the city centre and the beach. And they had the best Happy Hour from 5-7pm. We enjoyed the great live music, the delicious free snacks and the 2 for 1 drinks. 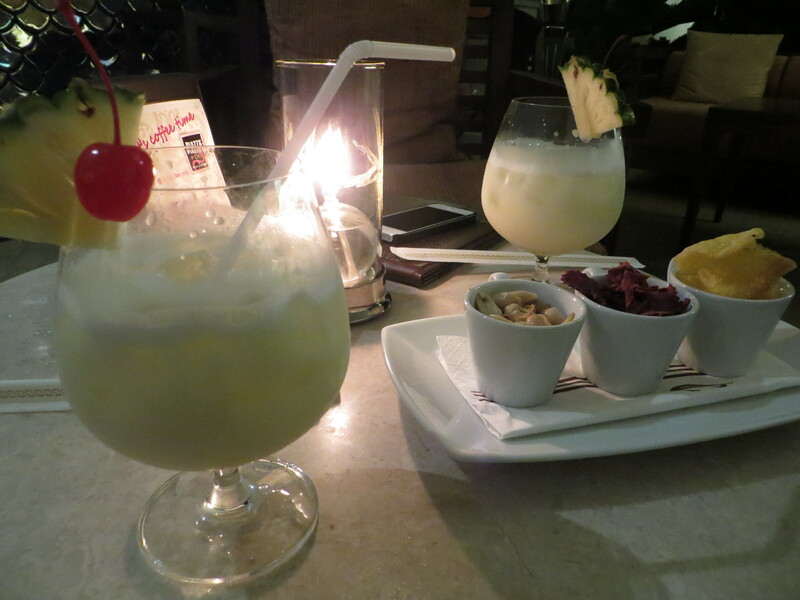 We could not find a better Happy Hour and started our evenings there every night. 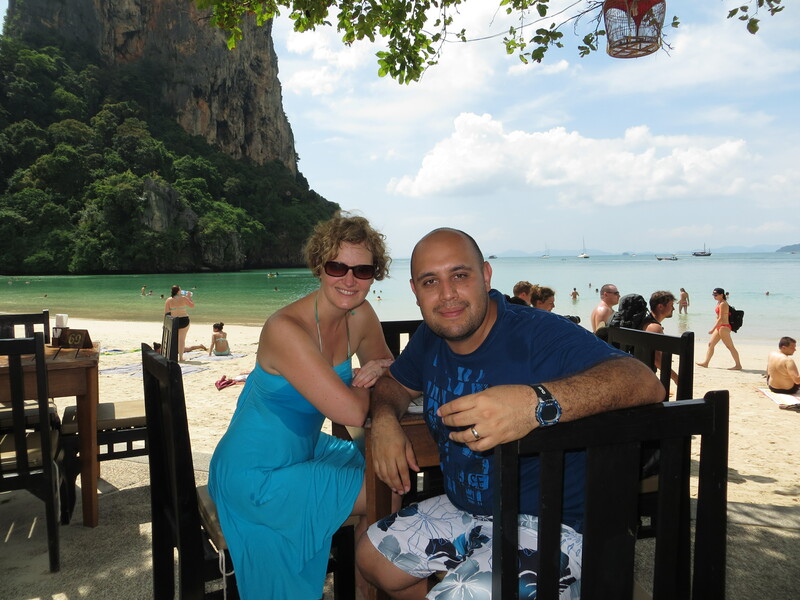 We were actually fortunate to have one day with sun where we spent it at Rai Lei (Railay) Beach. We took a long-boat there for 400 Bhats return for the 2 of us. These long boats are definitely less stable than the ones in Myanmar. On these, the weight had to be evenly distributed and if anyone moved, it was a near topple-over. After swimming, tanning, walking to the other side of the peninsula, renting kayaks and touring around, it was time for a drink. Ahh, yes. This is the life. 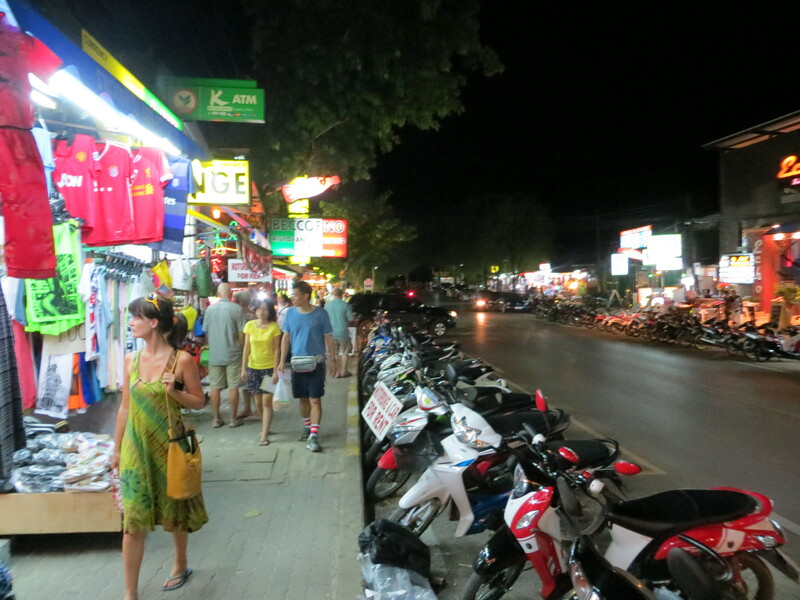 Walking the streets of Au Nang, Krabi, Thailand. It is a lovely town, although a bit westernized (can you say McDonald’s and Starbucks?). 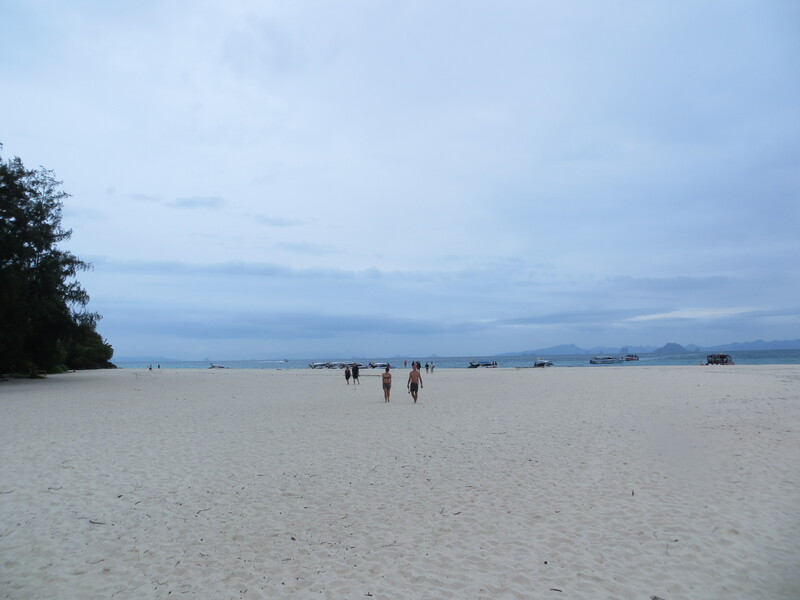 Au Nang still has its own charm and a definite Scandinavian influence. Many tourists from Scandinavia and Russia seem to favour this location. We did not meet one Canadian here which we found a bit surprising. 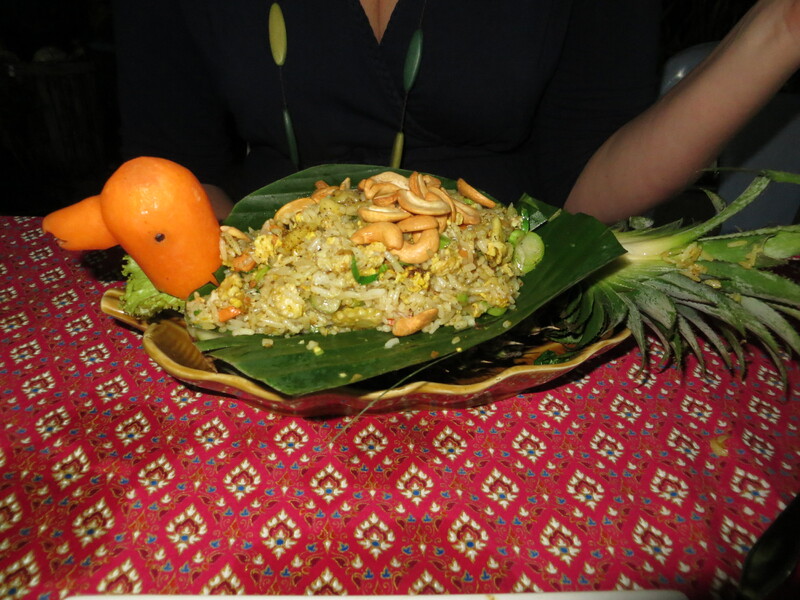 They get points for the fancy presentation of my pineapple fried rice. 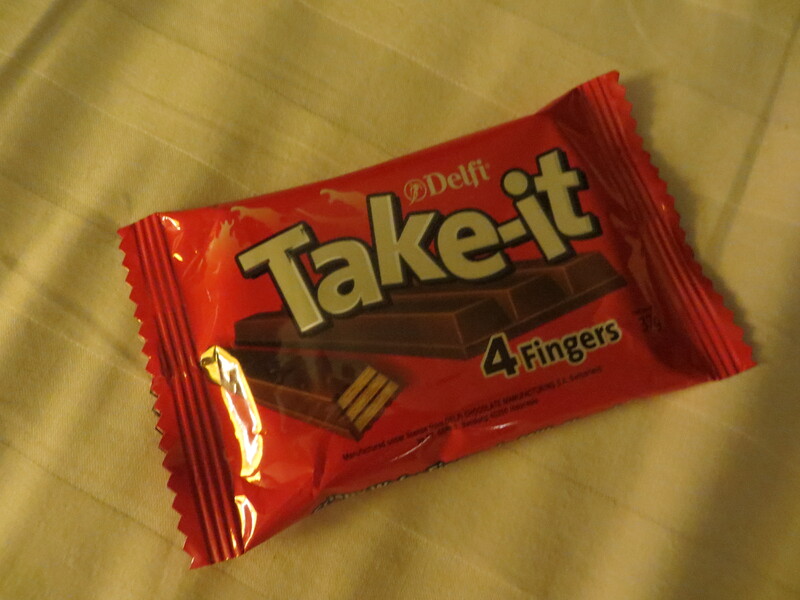 Armando’s favourite chocolate bar is Kit-Kat so we couldn’t resist trying this impostor. Took an island-hopping trip one day. 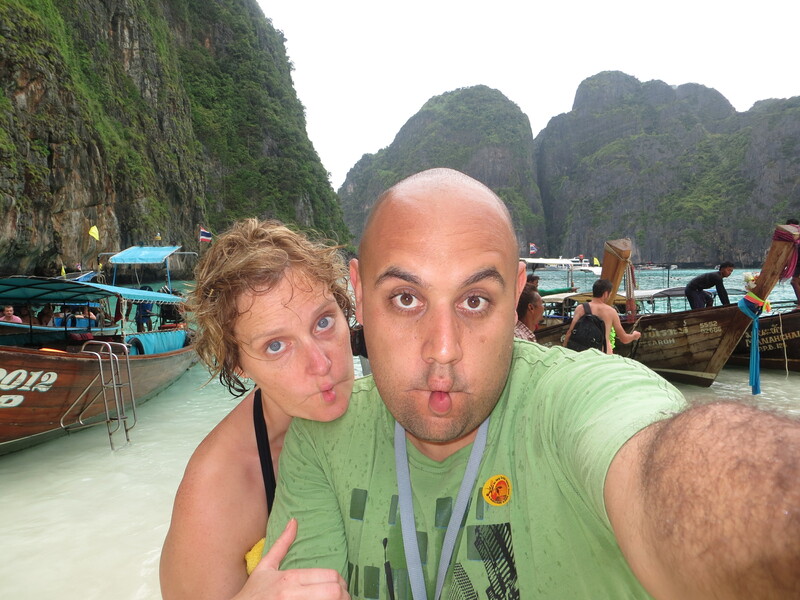 First stop…Ko Mai Phai (Bamboo Island). 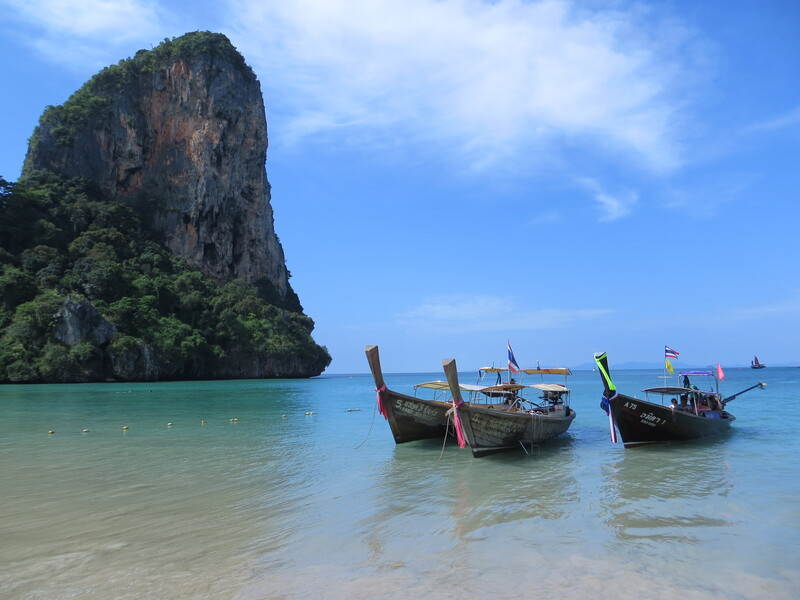 Next stop…Maya Beach on Ko Phi Phi Don Island. In the distance is the beach where Leonardo DiCaprio filmed the movie, “The Beach”. And this is the view up close. I guess every other tour boat had this stop as well. This is definitely not what the beach looked like in the brochure?! 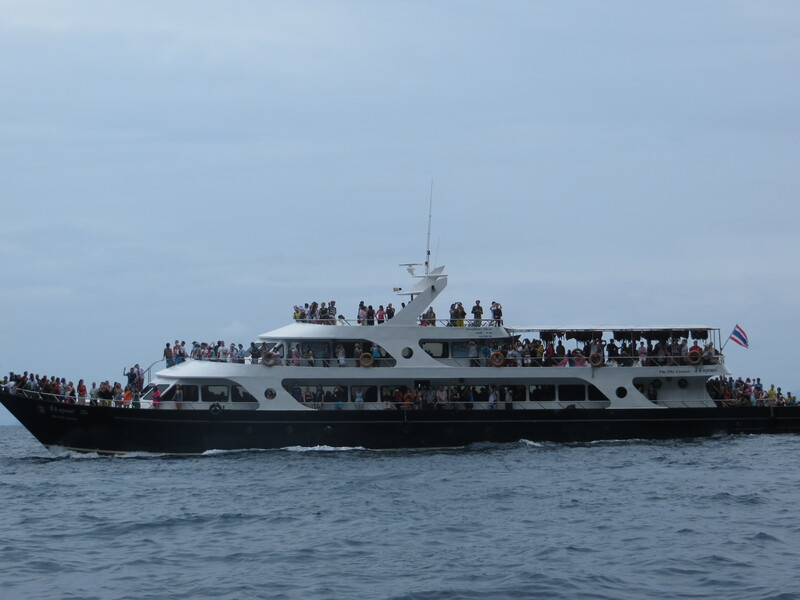 And look at some of the tour boats! Thank goodness we were on a small speed boat with maybe only 20 of us or so. Smile for the camera! 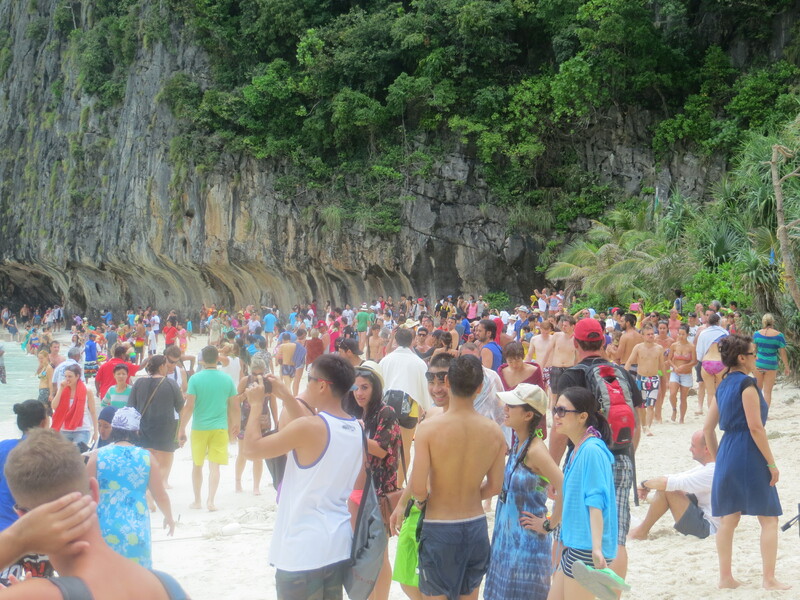 Maya Beach. Check. 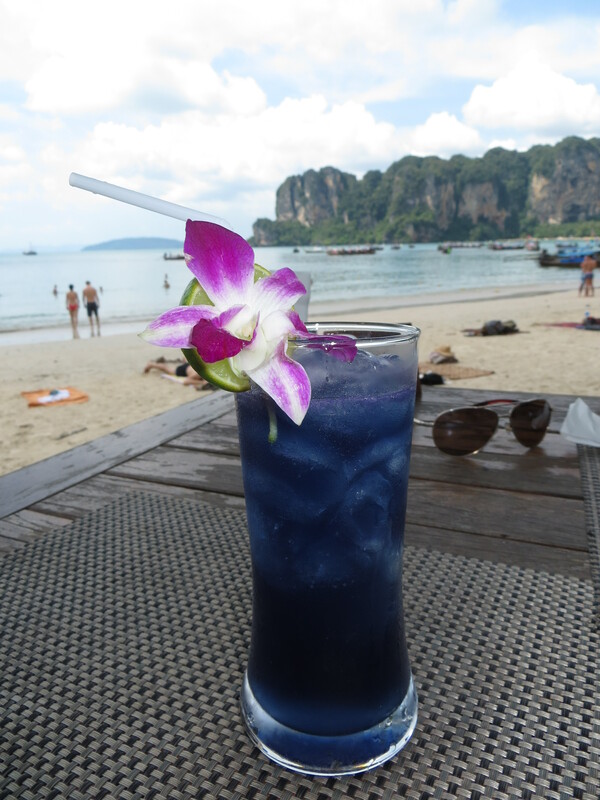 Next stop….snorkelling. Feeding the fish. On the tour we stopped at a couple different places to snorkel. It was just amazing at how many fish there were. I guess the bread the tour guides kept throwing in the water helped. We could see fish at the surface but when you go underwater…wow! 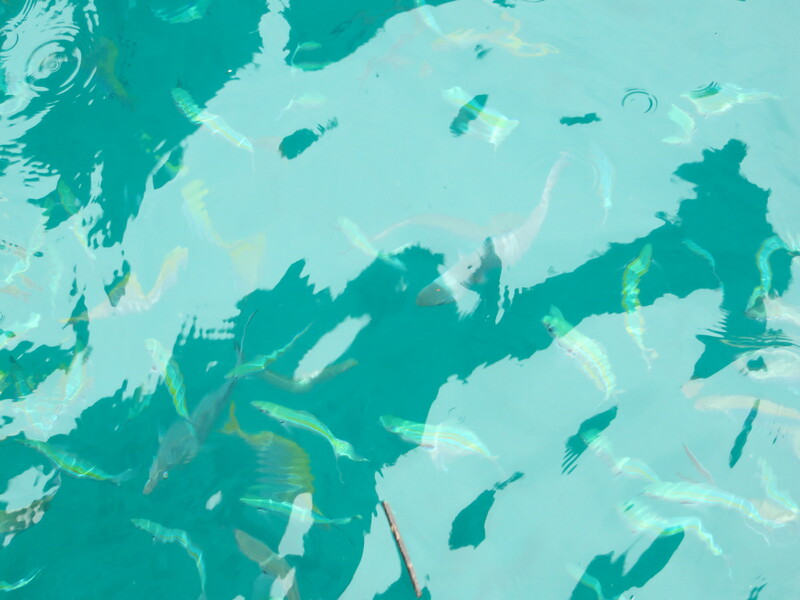 One of the most amazing things I saw that I never saw to this scale on past snorkelling adventures is the large schools of fish that swarmed from one direction to the next. Very cool. 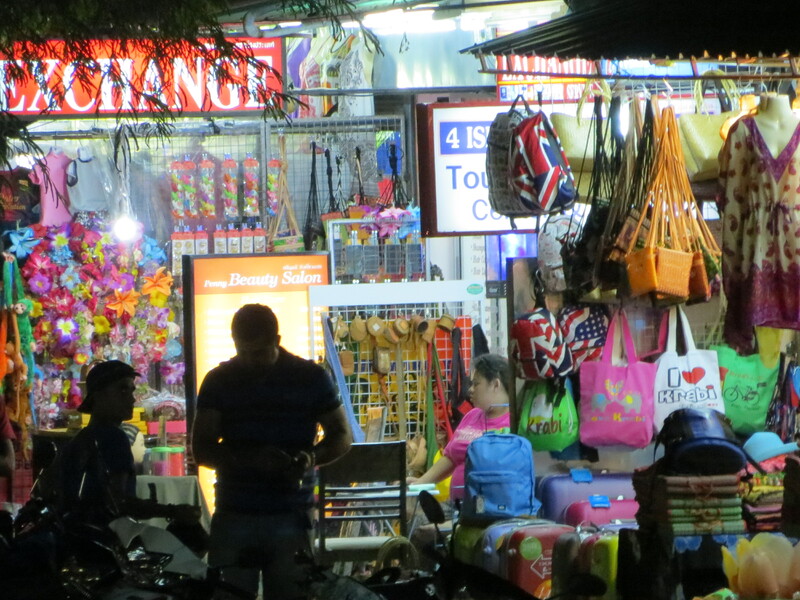 We discovered our favourite late night street food snack in Krabi. It’s the Thai pancake. It’s kind of like a crêpe but crispier. Watch the video to see how it’s made and notice how the street vendor carts are attached to their motorcycles. 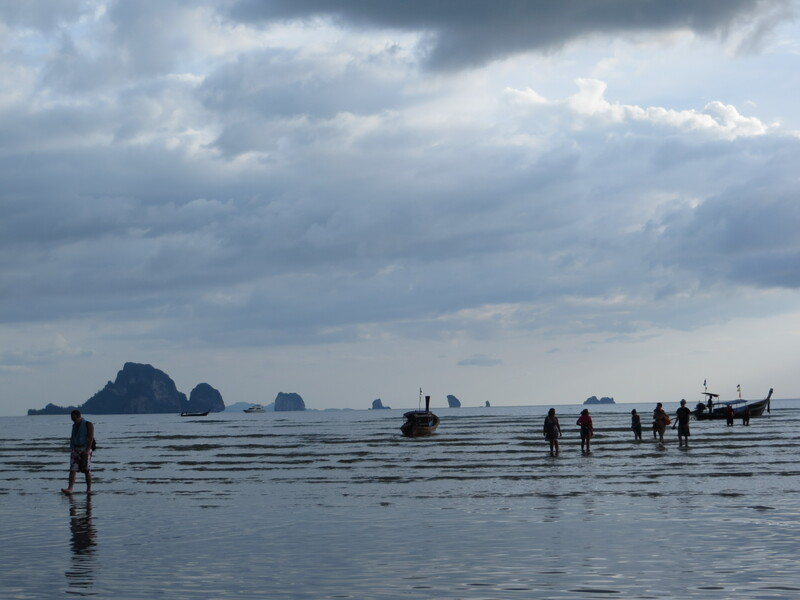 Our last day in Krabi was a rainy one. But the rainy days we made the best of it and took in a fish spa (where tiny fish ate the dead skin off your feet). And then we enjoyed our spa at the hotel. What else to do in a resort town on a rainy day? Relaxed and refreshed. 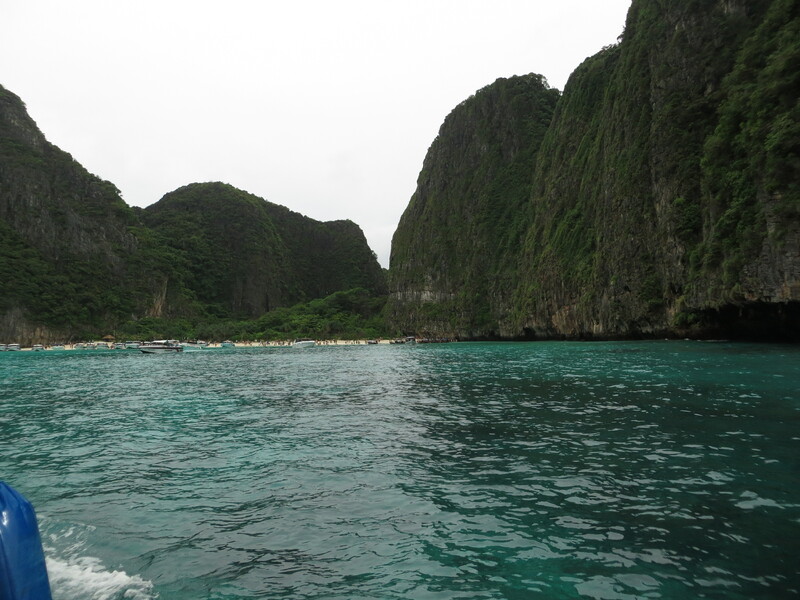 And we still had two days left that we were going to spend in Phuket, Thailand. Who knew that we were going to get even more pampered than we did on our spa day? We were in for a surprise!